Milton wants the world, or at least anyone inclined to log onto Lame Adventures, to know that he has purchased the Blu-ray version of Sergei Eisenstein’s Battleship Potemkin to watch on his new 42” LG flat screen TV. Possibly he’ll follow this perversity with wearing Givenchy to clean his bathroom. If his drain is clogged, I’ll give him a cup of my Pequa – my big ticket tax return purchase (see Lame Adventure 6 for those exhilarating details). It upsets Milton that I am not a Battleship Potemkin aficionado, but I do have the capacity to recognize why this 1925 Marxist propaganda film is considered a masterpiece. 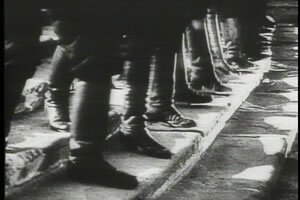 Between the ages of 15 and 23, I had seen Battleship Potemkin at least five times, but once was more than enough. In fact, all I really needed to see was the Odessa steps sequence to grasp why every film scholar dead or alive (and Milton) declares this brilliantly edited film a classic. It is the first of its kind, and it influenced the editing of every film that followed. The first time I saw Battleship Potemkin, at age 15, I chose to do so on my own because I was a budding film-whore and I was aware that it was considered seminal cinema. I simply had to see it. It did not occur to me at that tender age that I would major in Film in college, and attend four different universities – majoring in Film in each of them – and I would be subject to seeing this one particular film in each and every institution. 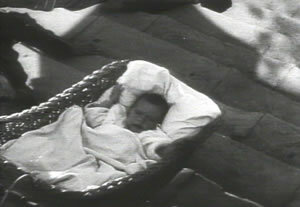 If anything, I was ready to enter a mental institution just from having seen Battleship Potemkin so many times. 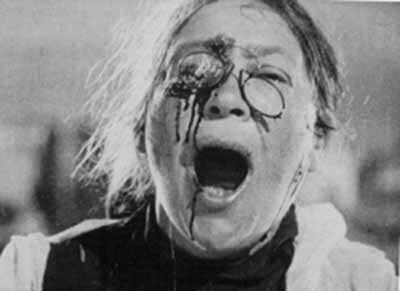 Our government should add screenings of Battleship Potemkin to the torture to-do list. Yet, I am sure that would be a violation of the Geneva Convention. 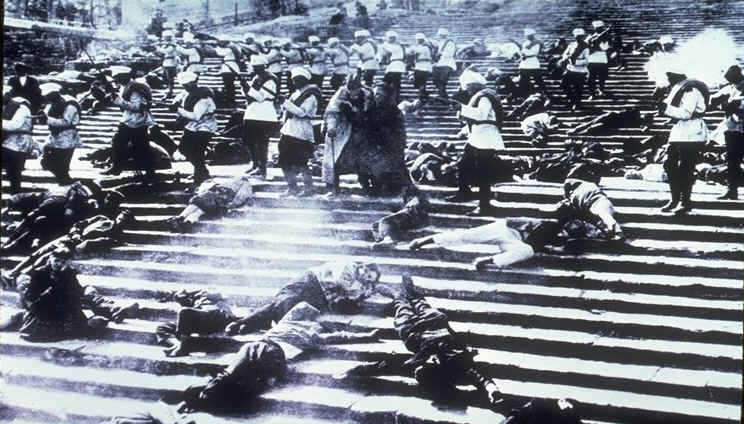 I know I definitely sat slack-jawed and bleary-eyed through screenings of Battleship Potemkin when I was a student at San Francisco Sate University, UCLA, Stanford and NYU, the school that reluctantly awarded me a BFA after I finished an incomplete in … Watching Battleship Potemkin. That’s a joke folks. Actually, my incomplete was in something equally preposterous, Writing. Every time I saw Battleship Potemkin, it seemed to double in length and the print, probably the same one shuttled from university to university, atrophied further. The last time I saw it, its 66 minute run-time seemed to balloon to a day and half. If I never see another black and white close-up of a maggot, I know I’ll die a little less miserable. ... Or baby to be. Odessa Steps sequence wide shot aka, "Get me outta here!" Although Milton and I have known each other for several years, Battleship Potemkin never came up in any of our many film-related chats until a bone-chilling evening in February before a screening of Jan Troell’s wonderful epic, Everlasting Moments. We were talking about editing, or possibly Milton was talking about what older actresses are looking fat these days, and I changed the subject to editing. Battleship Potemkin came up which channeled a negative memory and deep groan from me. 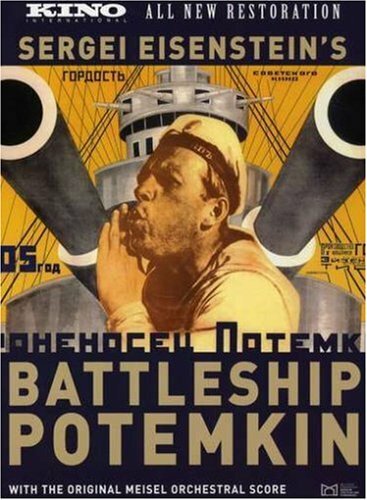 Milton insisted that now that I am a “mature age” – I turned the dreaded number ickity last year, I will now “love” Battleship Potemkin. I told him, “Are you crazy? I could live to be a hundred and ickity; I will never, ever love Battleship Potemkin!” I would sooner love listening to a concerto of forks scraping slowly across dinner plates than finding myself watching that silent hell a sixth time. That sixth screening would undoubtedly expedite my death considering that I had to chew through almost an entire roll of Rolaids to stomach The Blind Side. Should my fortunes, which have in the past sixteen months, been in a state of free fall, change in an upward direction, and I am no longer gainlessly employed and contemplating subsisting on cat food in Central Park in my golden years, I might consider investing in a high definition TV and Blu-ray player of my own, and maybe, just maybe, give Milton’s copy of Battleship Potemkin a glance. Hey, if it is torturous viewing, I can always pop out that disk and pop in something divergent like Martini Max’s copy of Faster, Pussycat! Kill! Kill! Watching that Russ Meyer lunacy never grows old to me. The original Pussycat Dolls in boots made for stomping. This entry was posted in Humor and tagged battleship potemkin, faster pussycat! kill! kill!, Pequa, russ meyer, sergei eisenstein. Bookmark the permalink. I have never heard of it…… I think I would be in the same boat as you. I totally agree with you. Faster Pussycat is a far more entertaining movie.